Meeting the needs of the increasing large Millennial segment is a top priority for many banks and credit unions. But not all Millennials are created equal, having different expectations of their financial institution partners. Millennials are the largest generation in world history, numbering 80 million and commanding $1.3 trillion in direct annual spending in the U.S. alone. These consumers (where many define the oldest as 35 years old) represent a surprisingly diverse financial services segment, with varied needs and behaviors. 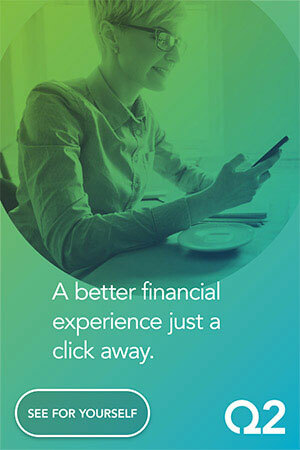 This segment is more digitally focused than any previous generation, with connections to financial organizations reflecting their comfort with the App economy. 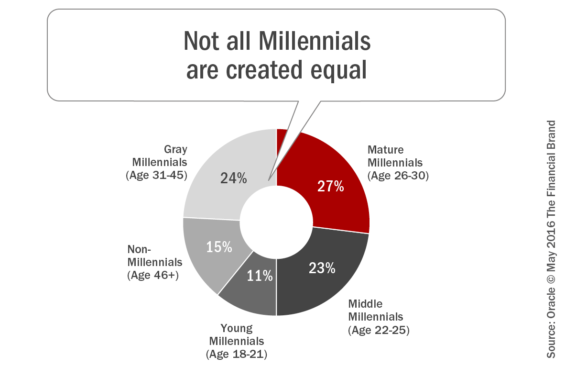 Oracle divided Millennials into four sub-segments: Young Millennials (aged 18-21), Middle Millennials (aged 22-25), Mature Millennials (aged 26-30), and Grey Millennials (aged 31-45 years old). These age-based segments provided better insights into the differences in use of and reliance on different financial services providers. Reflecting the reality that the majority of this segment is just beginning to approach prime income earning years, the majority of Millennials (60%) view their financial institution as primarily a safe place to store money and the facilitator of financial transactions. This was especially true of the youngest sub-segment of Millennials. The good news is that Millennials overall trust their banks on matters regarding personal finances. In fact, 88% of Millennials indicated they trust banks for advice, above family, friends, personal financial advisors or online resources. If leveraged effectively, this trust could be leveraged as the foundation for expanded relationships with this segment. Unfortunately, trust has been going down over time, especially with Millennials. According to the Oracle study, the most frequently used payment modes are cash (79%) , bank cards (76%) and online banking (71%), which are used more frequently than non-bank alternatives such as alternative payment providers (like PayPal) or mobile wallets. That said, non-bank options are becoming more popular, especially with older Millennials. In the study, it was found that Young Millennials (age 18-21) and Mature Millennials (age 26-30) are the most open to non-traditional modes of payment. 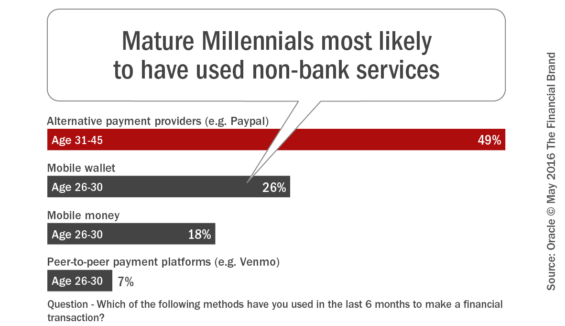 Specifically, Mature Millennials are more likely to use mobile wallet and mobile money, while Young Millennials prefer peer-to-peer payment platforms such as Venmo and alternative payment providers such as Paypal. 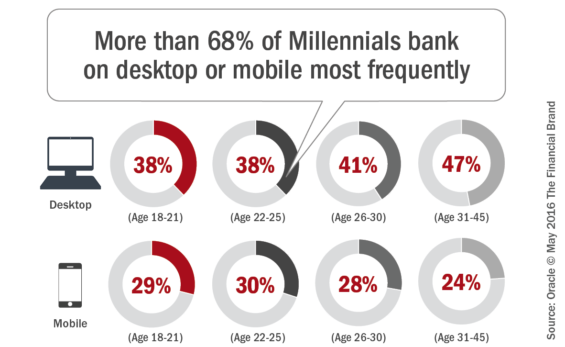 Globally, more than 68% of Millennials chose mobile or desktop as their most frequent channel of interaction with their financial institutions. In the US, 75% of Millennials were found to be at least somewhat reliant on mobile banking to manage their accounts, and more than 25% completely rely on mobile banking. 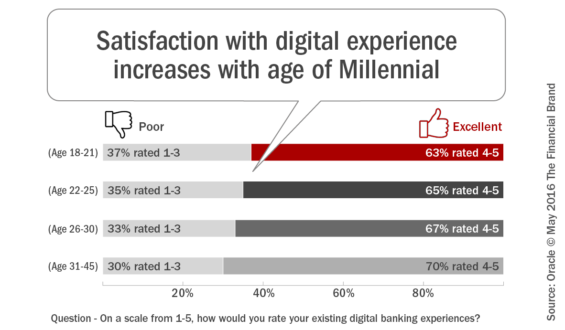 According to the Oracle study, identifying the most relevant moments in a customer’s life will provide banks valuable insight for both product development efforts and times to engage with Millennials. These were referred to as ‘Life Moments’ in the study and ranged from shopping & budgeting ‘events’, to more significant moments, such as education, finding a new job or planning a vacation. Despite the trust Millennials have with banking organizations, Millennials are not very confident that banking can be of assistance in helping them with their personal Life Moments. The research found that banks are the third most trusted source for information and advice when making decisions related to Life Moments, compared to family/friends, search engines and social networks. Given the availability of account level and behavioral insights in banking organizations, there is both a threat and opportunity in meeting Millennial needs. While Millennials are more demanding of personalized solutions, banking organizations have more insights available than virtually any other commerce partner. 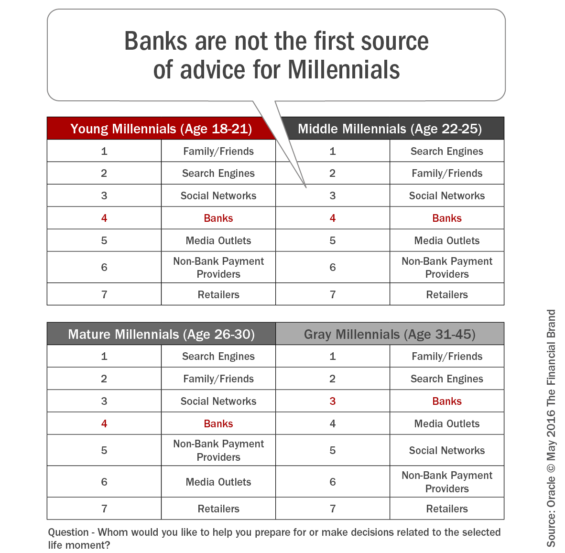 The way to build a relationship with a Millennial is directly correlated to how well a financial institution uses the data available to build connections around this segment’s Life Moments. 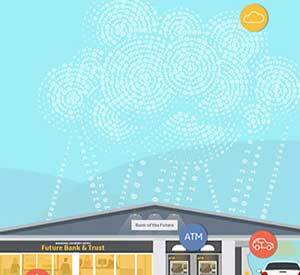 Contextual engagement that is both smart and timely is the key. This article was originally published on May 12, 2016 . All content © 2019 by The Financial Brand and may not be reproduced by any means without permission.